Toyota has unveiled the all-new Prius Prime plug-in hybrid at the New York Auto Show. Based on the new fourth-generation Prius, the 2017 Prius Prime will go head-to-head with other plug-in hybrid models – like the Chevy Volt – when it goes on sale later this year. 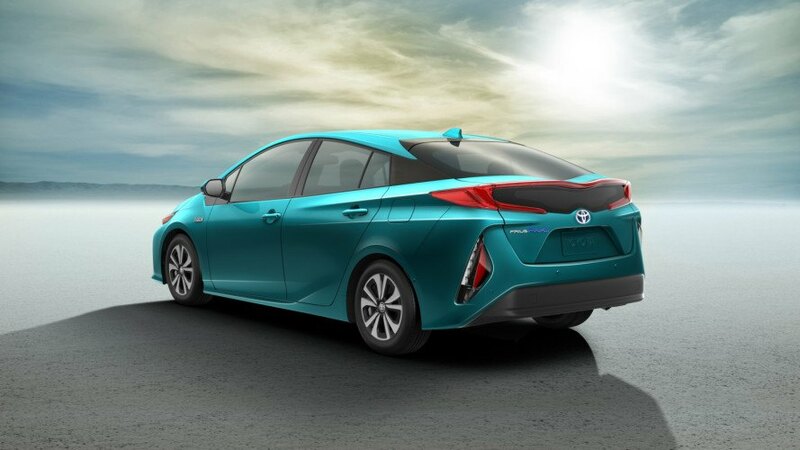 According to Toyota, the Prius Prime will arrive with the highest MPGe rating of any plug-in hybrid with an estimated 120 MPGe rating. Compared to the last Prius plug-in hybrid, the Prius Prime is not only more efficient, but can also travel twice as far in electric mode – 22 miles. 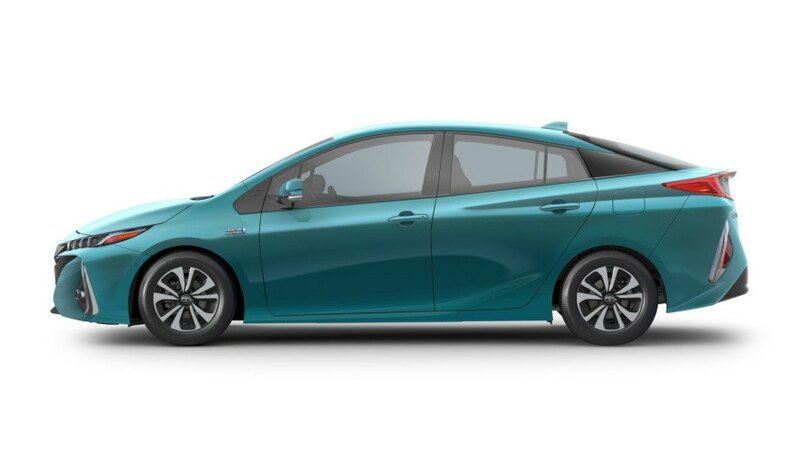 The Prius Prime is powered by the same 1.8L hybrid powertrain as the standard Prius hybrid, but a larger 8.8 kWh battery pack allows for a longer electric driving range. The Prius Prime will also feature Toyota’s new dual motor generator drive system that uses both the electric motor and the generator to boost acceleration performance. With a 22-mile driving range, the Prius Prime still can’t travel as far as the Chevy Volt in electric mode, but recharging the Prius Prime will take 5.5 hours using a standard 110-volt outlet and less than half that time with a 240-volt source. Toyota estimates that the Prius Prime can travel over 600 miles if the 11.3-gallon tank and battery are fully charged. From a styling standpoint, the Prius Prime stands out a bit more than the last Prius plug-in hybrid. From the front, its quad LED headlights will help guide your way at night and the rear also boasts some unique styling touches. 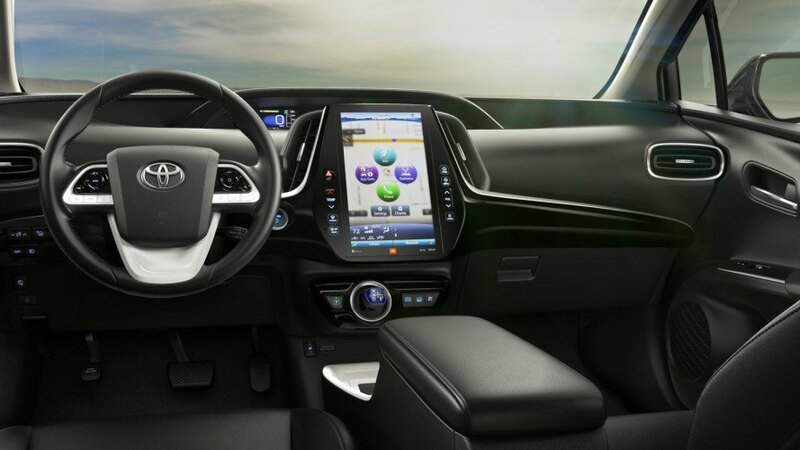 Inside, a new 11.6-inch HD tablet display mimics the display in the Tesla Model S. The 2017 Prius Prime is expected to arrive this fall. Toyota has unveiled the 2017 Prius Prime plug-in hybrid today at the New York Auto Show, which will arrive with the highest MPGe rating of any plug-in hybrid.